Otherwise known as Russell Vale Animal Clinic! affecting the important relationship between loving pet owners and veterinarians all over the world. In my spare time, like most of you, I go onto various internet forums, and visit different pages. I am part of many groups, some are animal related, others are vet related, and some are about various hobbies, like gardening and investing. In true testament to the community love of our pets, even in the animal- free pages, the issue of vets and our animals seems to crop up. We just love talking about our pets don't we. Unfortunately, when the topic goes to vets, it doesn't always make me proud to be a veterinarian. When I read many of the comments, I sit in my bedroom and cringe. Why would I feel like that? It isn't that the comments are directed at me personally, but at my chosen profession. Most of the comments are downright nasty, some are childish, and most are just jealousy presented as truth. There are some recent ones that have just tipped me over the edge, motivating me to write about them. There have been many that have irked me, but I bit my tongue, and said nothing.... until now! Our pets are super special, don't you agree? One said that she would never go back to her vet because he parked a Porsche in front of his vet hospital with personalised number plates. Another said that her vet upsold her some blood and urine tests, and is now upselling her specialised pet foods (her vet diagnosed chronic kidney disease in her sick cat). Oh Wow! So how do I get to own a Porsche. I would love to know that vet's name! That must be some awesome evil selling technique he must be using to be able to convince alot of people to spend alot of money with him. (More likely, he is an amazing vet, with amazing skills and he deserves the Porsche and more - good on him - I feel happy, not jealous that a fellow human being achieved success in his chosen field!). I don't drive a Porsche - I drive a 1999 Honda CRV which leaks when it rains through the sunroof, and the Mercedes van you see parked in our car park? Well that was my Dad's van which he used for his scooter, which I inherited when he passed away. I don't think people are flocking to me because I drive an old car, but it would be disconcerting to think that some people will stop coming to me when I go out to buy a new one, and God forbid, have it parked in public view. Why should I be ashamed that I bought a new car? ( I haven't yet, but if you have any suggestions on a good cheap reliable car, let me know - I am never going to reach Porsche status). Then there is the upselling comment from another forum. The background to this one was that the elderly cat was apparently unwell. The vet wanted to do blood and urine tests to find out why she was unwell. That is good, old fashioned, veterinary medicine. 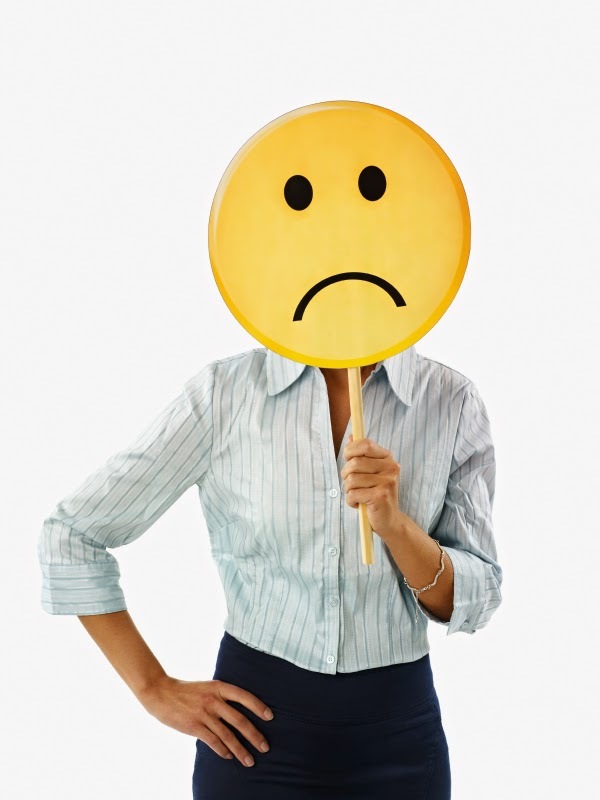 The blood tests led to a diagnosis of chronic kidney disease. 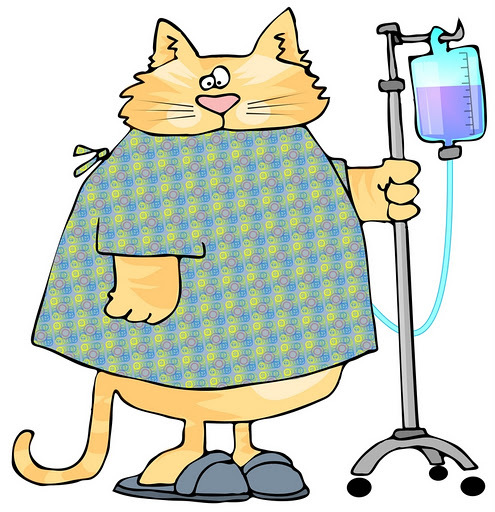 That is a condition that has limited treatments, but we do know renal supportive diets can improve the cat's quality of life, as well as longevity. The veterinarian recommended appropriate nutritional support. But according to the owner, the sale of such food is also upselling. It is not upselling. That is good veterinary management of a chronic disease. That vet is AWESOME! He/She deserves a medal, not accusations of upsellling via the obscurity of Facebook! 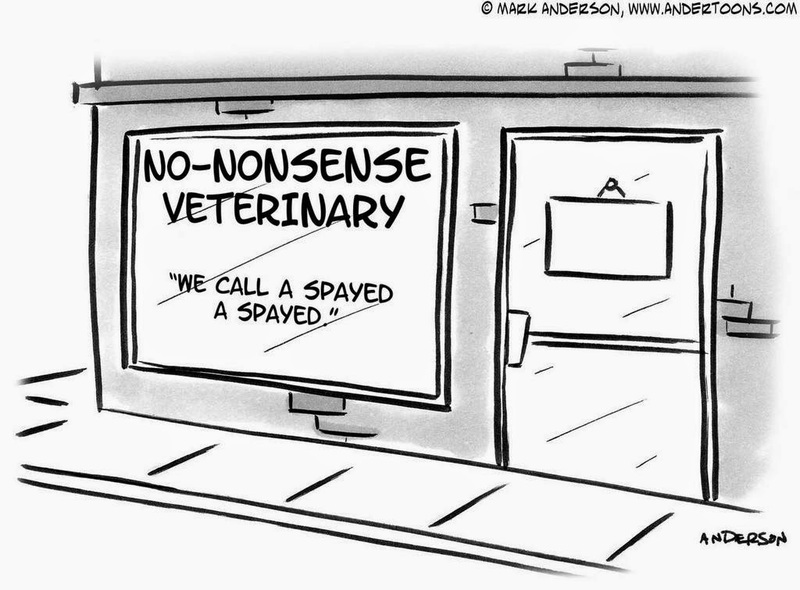 not upselling, it is good veterinary care. But client's perception is their reality, irrespective of whether it is true. No one likes being "sold to" or being made to feel that they have been conned. Vets are not conmen (or conwomen). We are caring individuals who care for your pets (most of us anyway). I had never heard of the sales technique of "upselling" until I read the Choice article about vets a few years ago, and since then, it is like "all hell has broken loose," with the term used freely now, usually inappropriately. So lets tackle what is and isn't upselling. The sole purpose of upselling is purely for a larger "sale". There may or may not be benefits for the pet also, but at the end of the day, more dough has come out of your wallet for something that you may or may not have wanted. So, from a veterinary perspective, it would be.... well I don't know of a personal example, as I don't upsell. upsell would be to do a Heartworm test on a 5 month old dog. The (un) "diagnostic" test would automatically give a negative result given the nature of the lifecycle of the Heartworm. Another example would be wellness plans for our pets, which is increasingly being offered in many veterinary hospitals. You pay a monthly subscription or an annual fee, which entitles you to alot of "free stuff", but then are encouraged a discount on food and flea stuff (so you actually spend more on your pet at that vets each year, hence upselling - it is a larger sale for the vet hospital). They will push all sorts of medications onto you, usually as an injectable form to get it started, telling you that "it works faster", whereas in most cases, there is no difference between absorption rates of common oral or injectable medications (such as antibiotics or antiinflammatories). The more appropriately designed wellness plans I have seen take into account the entire preventative plan for the individual pet, so you are actually paying what you reasonably would've been but in affordable monthly payments, but I have only seen these types of plans advertised in the UK These types of plans are not common in Australia. From a non veterinary perspective, upselling would be "Do you want fries with that?" The one that annoys me though, is when you buy a printer, and you have to buy the cable, or when you buy the camera, but need to buy the SD card that goes in it. That is pure upselling. A common public perception of "veterinary upselling" is dentistry, but it doesn't deserve that tag at all. As a vet who does alot of dentistry on "normal looking mouths" only to find the dental disease underneath, I shudder to think of the pain the pet would've been in if I hadn't intervened. 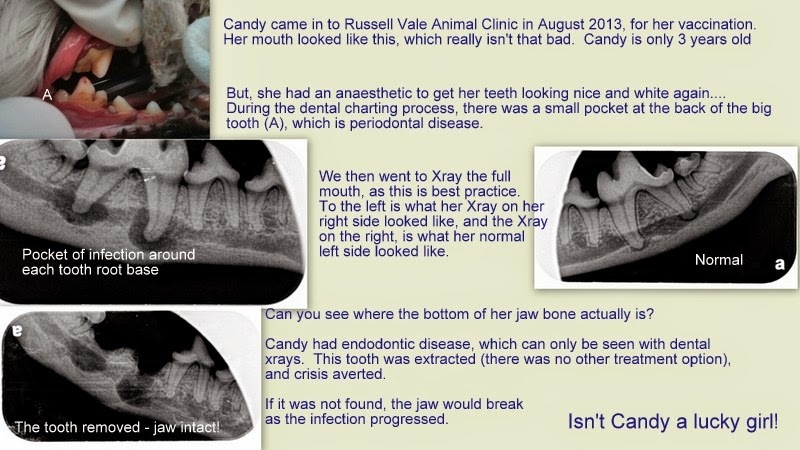 Candy (pictured below) is a classic case in point, but I have many many others too - as have many of my colleagues who perform quality veterinary dentistry (with dental radiographs). missed the severe endodontic disease in this three year old dog. dental work on a 3 year old "upselling" but I call it good veterinary medicine! Performing veterinary dentistry at the level that I do (with full dental charting, dental radio graphs etc), has made me realise that our pets just do not complain and that they do hide their pain. And as an animal lover, it is our role (yours as the pet owner, and mine as the vet) to ensure our pets live a pain free humane life. Vets who promote good dental practices are not upselling, but are actually providing you and your pet an opportunity towards identifying painful disease, and removing it. 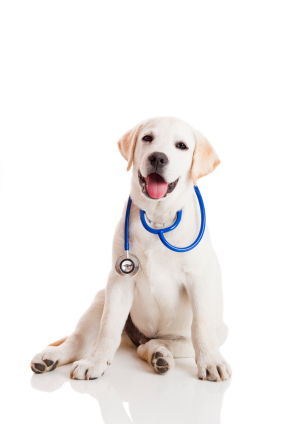 What is good veterinary medicine? 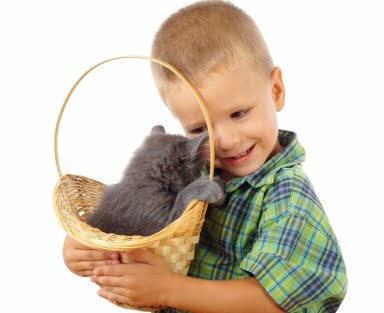 My first recollection of wanting to be a vet was in fourth class, and I stood firm, studied hard to do exactly what that definition says I am supposed to do. That is what the majority of my colleagues out there are currently doing. 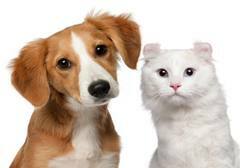 We are preventing, diagnosing and treating disease in our pets - we are diagnosing and treating disorders and injuries. And to do all of these things, requires tests and procedures to be done. That is what we went to University for, to be able to do the best things for all creatures out there - whatever form they may take! We are recommending screening tests in pets who are at high risk of certain diseases (for example, I would recommend thyroid panels in all Labradors and Golden Retrievers each year, as well as all cats older than 12 years of age). That is not upselling, that is good preventative veterinary medicine. I want to know if the pet has hypothyroidism or hyperthyroidism before it causes irreversible damage. The history of science tells us that certain breeds and age groups are at higher risk. We are recommending blood and urine tests in sick pets, as we need that extra information to find out what the problem truly is. My example of Chronic kidney disease earlier is a case in point. It cannot be diagnosed without blood and urine tests, irrespective of how good the vet is, but early diagnosis, and thus treatment, can make a big difference to the quality of that pet's life. Don't we deserve the best vet in the world? Before you accuse a vet of upselling, please be clear about what it truly is, and what your accusation is. Accusing vets of upselling because your pet is ill and needs medical treatment, is, in my view, a cop out. Accusing vets of upselling because your pet has been examined, and disease identified, but you choose to ignore the recommended treatment, that is also a cop out. That is so not cool! You have the right to say no (but not to the point of cruelty) but you do not have the right to blame us for your pet's disease and the treatment involved. Some of you are now using "upselling" as an excuse for denying the care that your pet needs and deserves. I had that happen to me a few weeks ago with a very sick cat (blood tests confirm cholangiohepatitis). Treatment was declined. Not cool! The accusation only has to happen to me once, but it had me in tears and extreme sadness, due to the care and regard I have for our beautiful animals. They deserve better from their human owners. But, yes, there are vets out there who do "upsell", and sadly, do our entire profession and the animals they care for a disservice. For these colleagues are giving some pet owners an excuse for not doing the right thing for their family pet.These colleagues are fueling the distrust that some people may have for veterinary professionals. As a vet, I only have your pet's best interest at heart, and an accusation of upselling is, well, unnecessary, and not likely to forge a bond between you and I. You need to trust your vet that they will always act in your pet's best interest, with the knowledge that is available to them at the time. Because simply, if you do not trust the vet you are with now, then find another one who you do trust. Your pet deserves that. I am Dr Liz, the mad vet from Russell Vale Animal Clinic. Good veterinary medicine and appropriate care programs is what we practice here at our veterinary hospital, and fortunately, I am blessed to have some amazing pet owners and pets as part of my animalclinic family who trust me to do exactly that. As your vet is a part of your animal family, we encourage an open discussion about what you are actually looking for in your family's vet. We cannot promise to be the right fit for everyone - but we do promise to be the right fit for the right ones. Thank you (you know who you are) for making each day of coming to 'work" a joy. I cannot continue to do what we do without your ongoing support of our little veterinary hospital. Cheers!